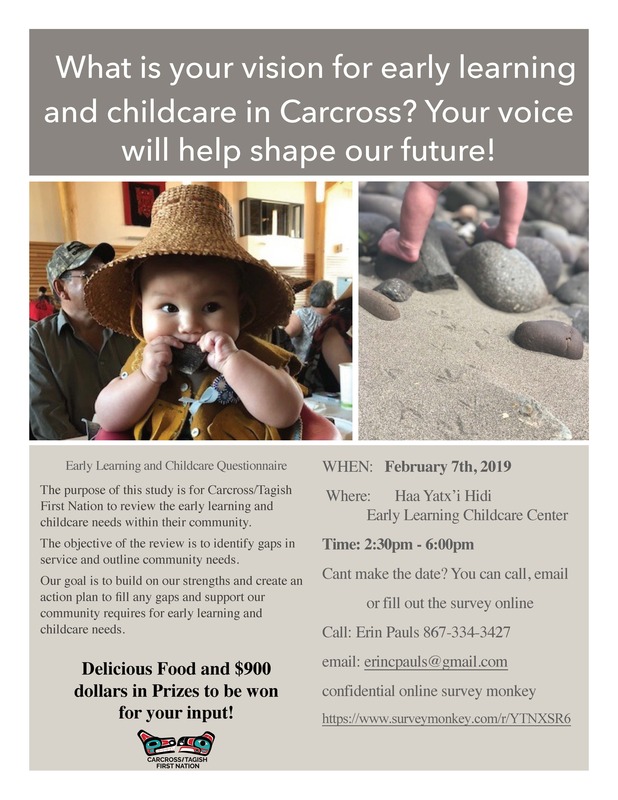 The purpose of this study is for Carcross/Tagish First Nation to review the early learning and childcare needs within their community. The objective of the review is to identify gaps in service and outline community needs. Our goal is to build on our strengths and create an action plan to ﬁll any gaps and support our community requires for early learning and childcare needs.